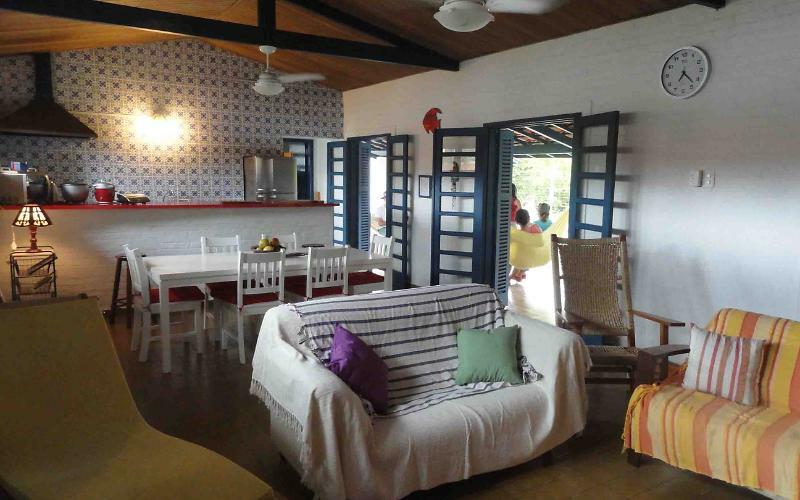 Our House is large, charming and cozy, with garage and landscaped land of 1000 m 2, is on bass, Itaguá best restaurants, bars and shops of Ubatuba, one block from the beach and the Aquarium of Ubatuba. 60 years-style, with double walls (to avoid moisture), kitchen, balcony, large living room with red 03 doors, balcony with hammocks, barbecue, lawn, beautiful trees, suite 01, 03 bathrooms, garage for cars, 03 beds with Spring mattress, TV 29 inches, DVD, microwave, table for 10 people and all of the kitchen and box-spring beds. The caretaker, Mr. Benedict, is an electrician and plumber and resides in the building for over 30 years. 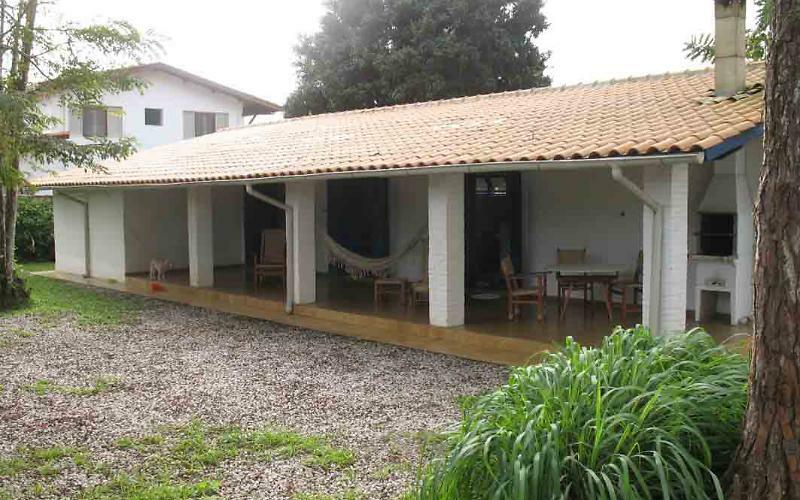 The House has everything and is situated in an excellent location. External shower for beach. SUITE with KITCHEN: closet with shelves, places to hang clothes, 01 double bed with Spring mattress, bunk bed with 01 02 single beds; 01 stainless steel sink w/closet and drawers, Refrigerator white Consul 01 wooden Counter, round dining table 01 to 04 people, 01 white ceiling fan (new), Incepa dinnerwares (Bali), towels and toilet paper, Box, stainless steel Shower Shower Lorenzetti with Pressurizer, Hygienic Shower, window and screen grid. ROOM 01: built-in cabinets with shelves and drawers; Jalousie Windows with screens and bars, places to hang clothes, ceiling fan (new), 02 Box beds with single Spring mattress (which will double beds) and 01 auxiliary bed (which will double beds) plus 02 single mattresses of foam. 02 ROOM: closets with shelves and drawers; Jalousie Windows with screens and bars, places to hang clothes, door, ceiling fan networks (new), 03 beds with Box Spring mattress (which will double beds and auxiliary bed, ROOM 01 03: built-in cabinets with shelves and drawer; Windows blinds with t they and bars, places to hang clothes, ceiling fan (new), 01 Beliche with two single beds. Don't let fans or taps or shower connected or open when heading out to the beach or in the evening. Don't leave valuables on the outside of the House when no one's home. Always lock doors and Windows when you go to the beach, including the doors the room-balcony. Leave the dishes clean when leaving the House. 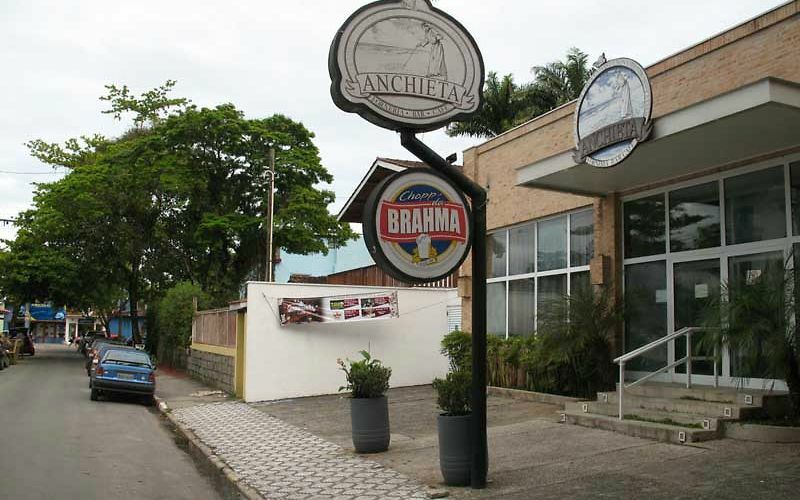 The House is located in Itaguá Beach, one block from the beach and the Aquarium and the Ancheta, Coffee best restaurants, bars and shops bells of Ubatuba, as the Nobel Bookstore, the pizzeria's Felix, king prawn, among others. Otima casa, tudo certinho arrumadinho e limpinho. Seu Benedito muito gente boa... Adoramos a casa..
Locamos o imóvel de 05/01 a 13/01/2015. Realmente o imóvel esta de acordo com as descrições, e de acordo com as fotos, tudo funcionando corretamente, muito ampla, com ventiladores em todos os cômodos, todos banheiros bem equipados, a localização é ótima. Parabéns Augusto Marin. 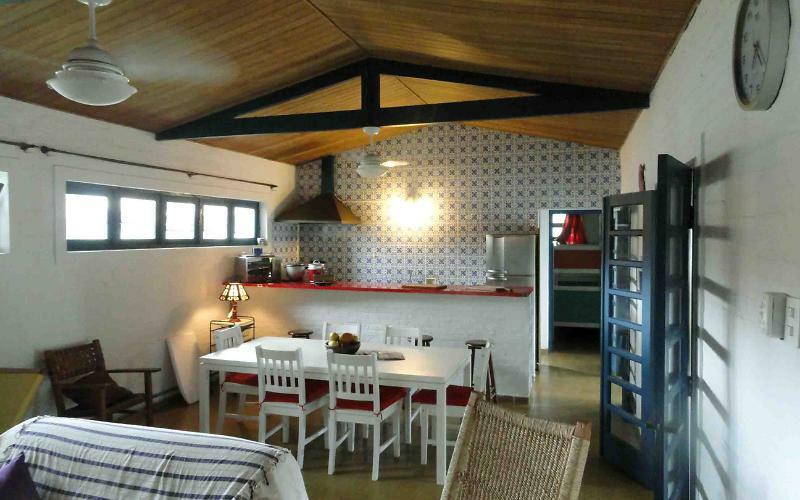 Casa muito linda, bem equipada, segura e aconchegante, tem tudo muito perto, restaurantes, lojas, mercados, bares, sorveterias, lojas de artesanatos, pontos turisticos, etc Não tenho nada a reclamar e tenho certeza que haverá um retorno muito em breve Parabéns Sr. Augusto! Olá gostaria de um telefone pra contato, tenho interesse na casa! Aluguei a casa com familiares e ficamos muito bem acomodados, a casa estava limpa e além de tudo é muito bem localizada, próximo de tudo,gostamos muito!